"KULU Safaris" is a family-operated private company founded in 1992. 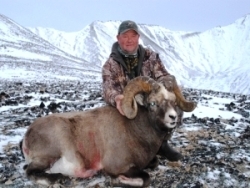 In 19 years of our operation over 400 american, mexican, canadian and european hunters came to hunt with us. 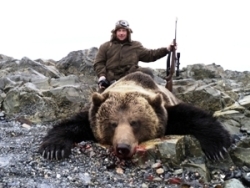 Director/owner: Sergey M. Rudakov, legitimate licensed outfitter, lives in Magadan; Kulu Safaris is the oldest outfitting company in the region. 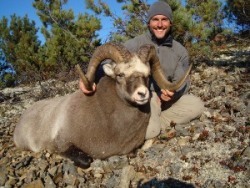 Kulu Safaris is a member of SCI, FNAWS and GSCO. 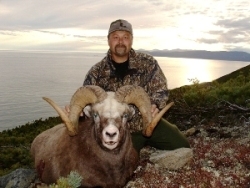 Since 1999 the company has annually participated at the SCI and/or OVIS and FNAWS conventions. You can always contact us via e-mail, fax, or phone. (time difference: east coast time +16:00). We speak English. 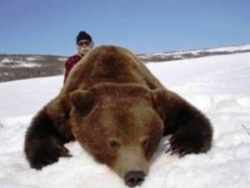 Our speciality is sport trophy hunting tours for brown bear and snow sheep and fishing tours in the Magadan region. 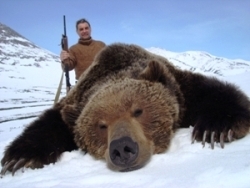 "KULU Safaris" will assume all the responsibilities of processing the required paperwork for obtaining Russian visas, rifle & ammunition permits, trophy export documents: CITES, licenses and hunting permits. 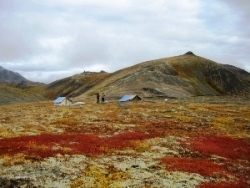 We provide 1x1 guiding, accommodation & meals in camps, transfer from the airport of Magadan to the base camp and back, booking hotels for our clients. 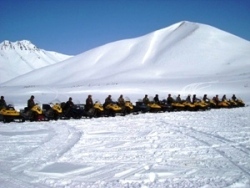 Duration of tours is normally 13 days including travel to and from the base camps. 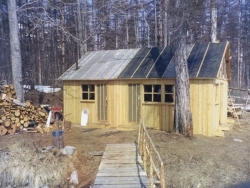 All tours begin and end at the airport of Magadan. 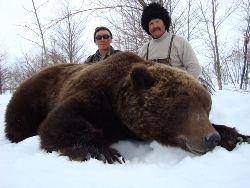 We meet our clients on their arrival and take them directly to the base camp by helicopter, or in the event of non-flying weather we move them to a Magadan hotel. Hotel and meals expenses while in town are the responsibility of our clients. 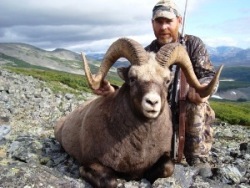 KULU Safaris leases large hunting territory of approximately 2,500,000 acres. 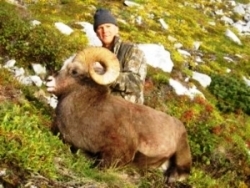 Six base camps are located in remote mountainous areas abundant in wildlife and trophy game (see map). 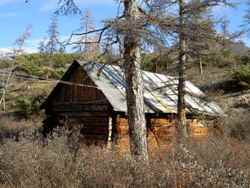 We constantly observe and scout new areas withing the Magadan region looking for other good spots to set camps on for the pleasure of our customers. 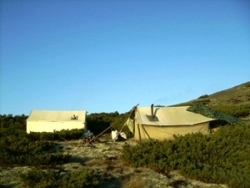 To provide clients' safety and comfort the camps are well-equipped and have all the essential means of communication: satellite phones, radio transmitters, walkie-talkies and signaling devices. 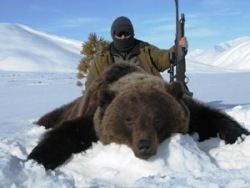 Each hunter has a personal guide who takes full care of his client. 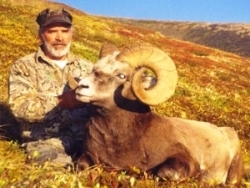 The guide's responsibilities include: reconnaissance, assistance in taking a trophy, carrying a backpack, cooking meals when at spike camps, field trophy preparation and packing. 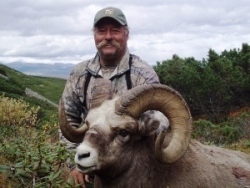 All of our guides, professional hunters and trappers, are well-trained in all hunting and camping operations at a level comparable with the American standards. 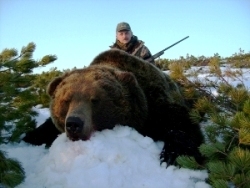 They are friendly and sensitive to special needs of foreign hunters and are quite knowledgeable in the regulations and requirements of international trophy hunting. 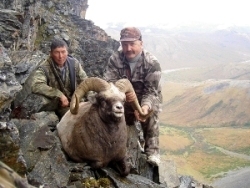 When a trophy is harvested it's time for saving the memories: the guide takes pictures of the hunter with his animal. 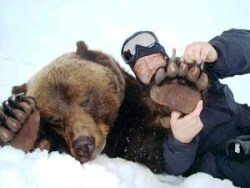 He can also take animal's preliminary measurements if necessary. Further processing of the trophy, its transportation to the airport, and preparation of exporting documents is done by the KULU Safaris personnel. When in town, if time allows we organize sightseeing tours around the city of Magadan, excursions to the museums and /or shopping tours for our clients.